What better time than to bash out those rugs and enjoy a fresh, ultra clean environment in the comfort of your own home, than today, as the hot days of summer begin? But what's the best way to ensure your rugs are really clean? 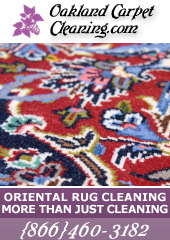 Everyday Rug cleaning is a must if you wish to ensure the long lifespan of your rugs. The simplest do it yourself methods include everyday vacuuming, preferably using a vacuum with a brush beater that allows for shakeup of the rug's fabric so that most dust and dirt particles break free and get absorbed. In addition, everyday care should include here and there treatment of stains. It's better to treat rug stains when first noticed. If stains dry up or are untreated mildew and mite infestation can be the result. When spotting a stain, clean it using a dry cloth, if stain is still visible use a non-bleach mild detergent mixed with warm water to mildly soak the area and dry using the cloth again; when everything's done, Vacuum.